Prime Minister Narendra Modi on Thursday kicked off the party's election campaign portraying the upcoming polls as a contest between “a decisive government and an indecisive past”. Rallying up: The Prime Minister said that his government has never lost sight of its vision, whether it is land, sea, air or even space - with the Mission Shakti's success. "I will give you an account of what I did and I will also give you an account of what others did, or didn't," Modi said in his address. The Prime Minister also took a jibe at the opposition parties by coining the acronym ‘SARAB’ (the hindi word for alcohol). "Sapa (Samajwadi Party) ka 'sa', RLD ka 'Raa' aur Baspa (BSP) ka 'ba', matlab 'sharab'. For UP's good health and for India's future, should you not stay away from sarab? Sapa, RLD, Baspa, ye 'sarab' aapko barbaad kar degi (this sarab destroy you)," the Prime Minister said. He said she said: Following the ‘SARAB’ dig, opposition party leaders including the Congress sought an apology from the Prime Minister questioning whether such language violated the model code. Congress's chief spokesperson Randeep Surjewala said the Prime Minister, like a "flop film actor", was making acronyms from the names of opposition political parties to compare them to liquor. Bahujan Samaj Party chief Mayawati said that the PM’s address was symptomatic of his “casteist and distorted mindset”. Meanwhile, Samajwadi Party chief Akhilesh Yadav said the word 'sarab' meant mirage, which the BJP was trying to show the country and now that elections were near, they were following the same. “Those who promote intoxication of hatred do not know the difference between ‘sharab’ and ‘sarab,” he said. The Election Commission is likely to decide today whether Prime Minister Narendra Modi’s address to the nation on India successfully testing an anti-satellite missile violated the model code of conduct, which is in force for the Lok Sabha election. The poll body set up a panel to examine Modi’s announcement made on Wednesday after opposition party leaders claimed that it had violated the Code for its portrayal of ‘Mission Shakti’ as the government’s success. Pakistan on Thursday said it has examined 22 "pin locations" shared by India but found no terror camps. "While 54 detained individuals are being investigated, no details linking them to Pulwama have been found so far," the Foreign Office(FO) said in a statement. The statement was outlining the “preliminary findings” of the probe the Islamabad government undertook a month and came a month after India submitted a dossier to the country’s Acting High Commission. Although India’s dossier, listed several “generalized allegations”, the FO said that Pakistan is focusing on those parts which relate to Pulwama incident. Jharkhand police on Thursday detained Jean Dreze and two other 'Right to Food' activists in Garhwa district’s Bishunpura, where the group was holding a Jan Sunwai (public grievance meeting) to resolve issues related to ration and pension pendencies. Vivek Kumar, Anuj Kumar and Jean Dreze were held over permissions for the meeting, which was being held after the March 6 event, where under the leadership of CPI (ML), a one-day blockade was organized against “looting of ration and land”. While the three had sought police consent, they were not informed if their request had been approved or denied. The trio was released after four hours of detention. The CPI(M) hit out at the ruling BJP over the incidence accusing it of being anti-people. 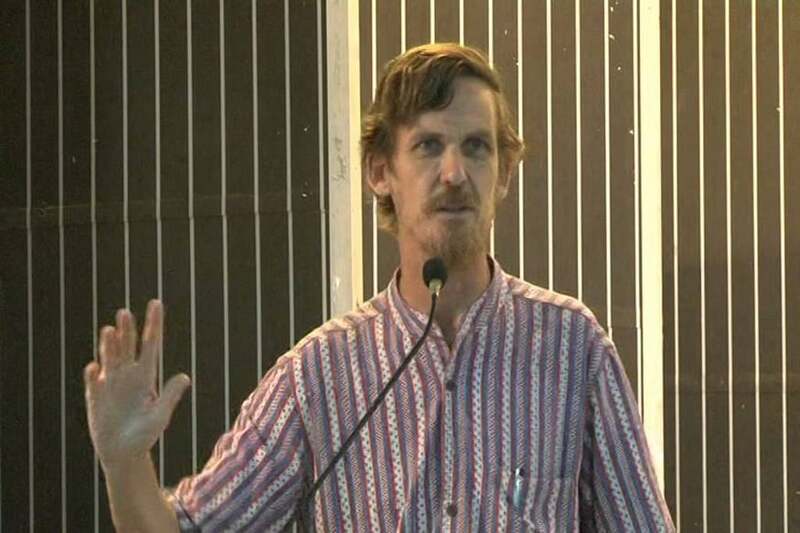 "CPIM strongly condemns the arrest of noted Economist Jean Dreze in Jharkhand for organizing a Right to Food meeting! Faced with severe criticism the Govt was forced to release him," the party tweeted. A Delhi court on Thursday reserved order on Robert Vadra's anticipatory bail plea and extended his interim protection from arrest till then in a money laundering case. The Enforcement Directorate (ED) had sought the custodial interrogation of Vadra before the court in a money laundering case relating to the purchase of a London-based property. "His tax returns are suspicious. His business, his links, his activities, his expenditure, his source of income, all are suspicious," advocate DP Singh said in the court on behalf of ED. The court will sound its decision on April 1. Karnataka chief minister HD Kumaraswamy went on protest at the I-T department office in Bengaluru after officials swooped down on many JD(S) leaders across Gowda strongholds of Hassan and Mandya on Thursday. "The IT Dept has to work independently but it's working on the instructions of Modi and Amit Shah. After BJP came to power, it has become like a dictatorship,” the CM said. His protest came hours after hundreds of I-T officials and CRPF personnel conducted search and seizure operations across these two districts from where JDS supremo and former Prime Minister H D Deve Gowda's grandsons Prajwal Revanna and Nikhil Kumaraswamy are contesting the Lok Sabha elections. Rebel BJP MP Shatrughan Sinha's into Congress has been delayed after a tussle over seat sharing intensified between Congress and regional giants in Bihar on Thursday. Veteran Congress leader Ramdeo Rai has reportedly told the top brass that the seat-sharing arrangement was not in the grand old party's favour. He said that RLD and other regional parties should not undermine Congress in coalition politics. Sinha is now likely to join the party on April 6. Rashtriya Janata Dal leader Tej Pratap Yadav, the elder son of party president Lalu Prasad, Thursday resigned as the 'sanrakshak' (mentor) of the party's students wing, signalling all was not well within the family. "I am resigning from the post of Chhatra Rashtriya Janata Dal Sanrakshak. Those who think I am ignorant are ignorant themselves. I am well aware of who is worth what," he tweeted in a jibe at his younger brother Tejaswi Yadav. The sudden development comes as a major embarrassment to the party which has been beset by speculations of fierce rivalry between Tej Pratap and his younger brother Tejashwi Yadav triggered by their father Lalu Prasad Yadav choosing the latter as his political heir. AICC general secretary Priyanka Gandhi on Thursday triggered speculation of her contesting from Uttar Pradesh’s Varanasi where the BJP is fielding Narendra Modi. The Congress leader during an interaction with party workers in Raebareily was urged for contesting from the constituency to which she replied saying, “Why not Varanasi.” Although, the party hasn’t declared her candidature, the Congress leader had on Wednesday said she would contest elections if her party asks her. The Congress party on Thursday released another list of 31 candidates for the forthcoming Lok Sabha elections, fielding former MP and son of Jaswant Singh, Manvendra Singh, from his earlier stomping ground of Barmer. Rajasthan chief minister Ashok Gehlot’s son Vaibhav has also been given a ticket from Jodhpur. Jodhpur is the home turf of the Gehlots and was handpicked by the CM for his son’s poll debut. The decision was made at a meeting of the Congress's Central Election Committee in the capital on Thursday evening. The residents of Garhi Chaukhandi village of Noida have decided to boycott Lok Sabha Elections 2019. News18.com finds out why.